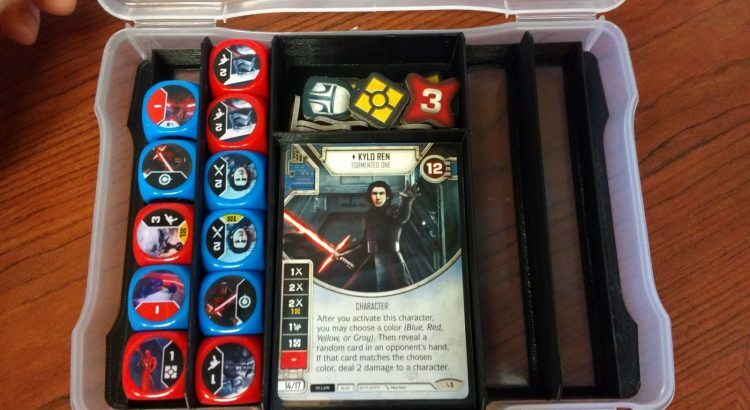 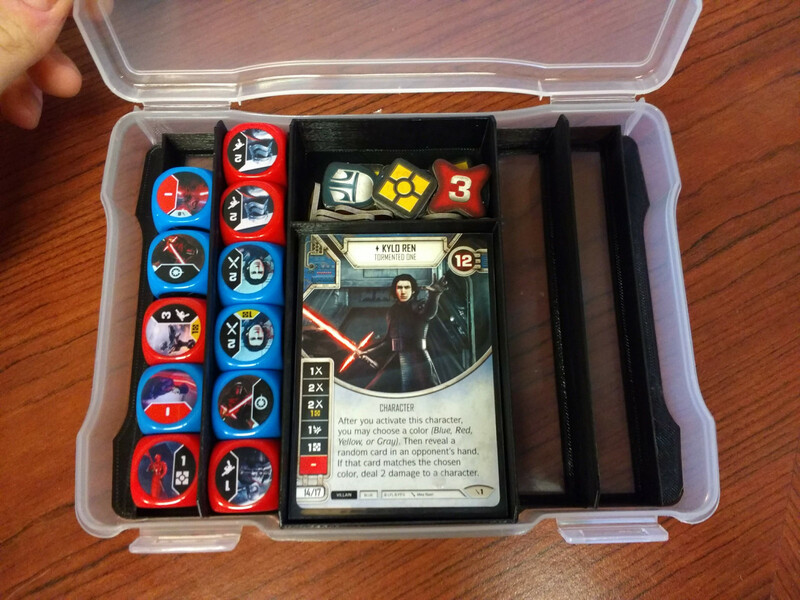 5×7 Star Wars Destiny Case Inserts – HNet Inc. 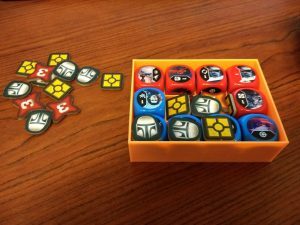 This is designed to replace my Star Wars Destiny Dice Tray design. 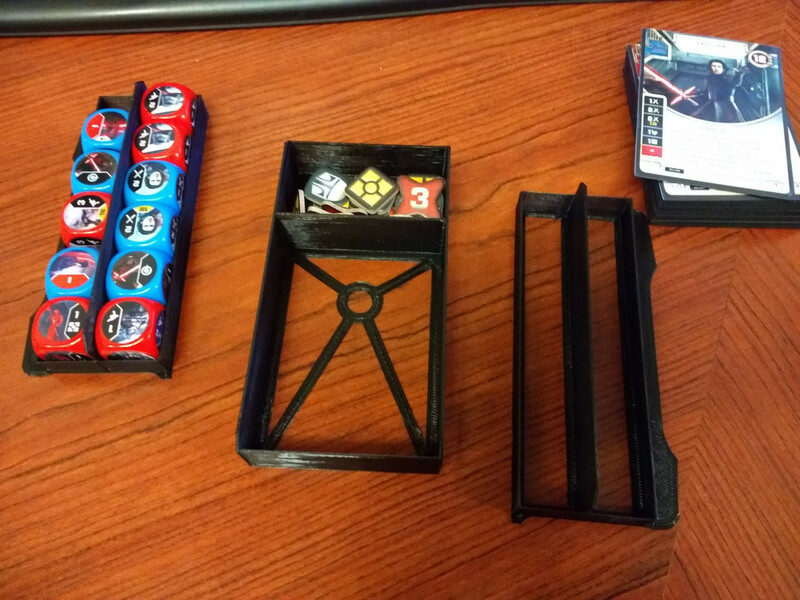 The tray worked but this works way better as each insert is easily removable. 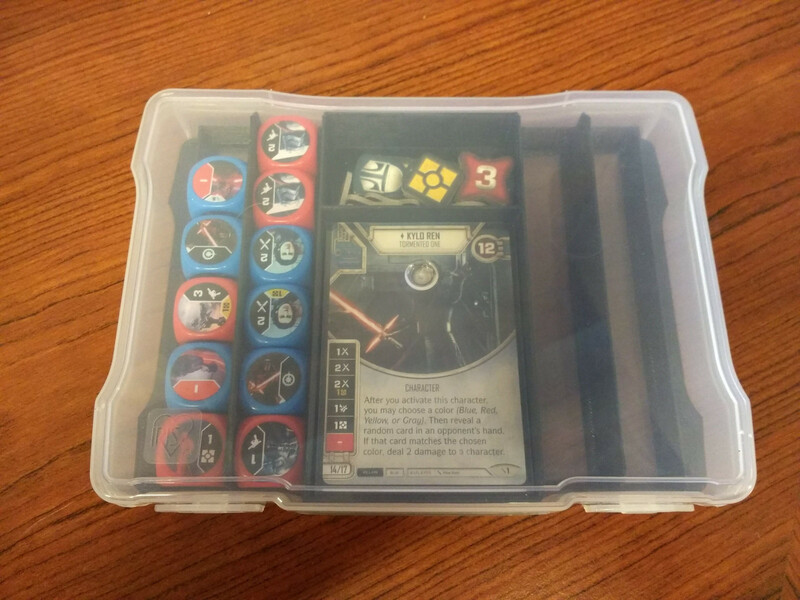 These inserts are designed to fit inside the IRIS 5″ x 7″ Photo Storage and Embellishement Craft Case that is sold by various vendors (the container store, michaels, joann fabrics…). 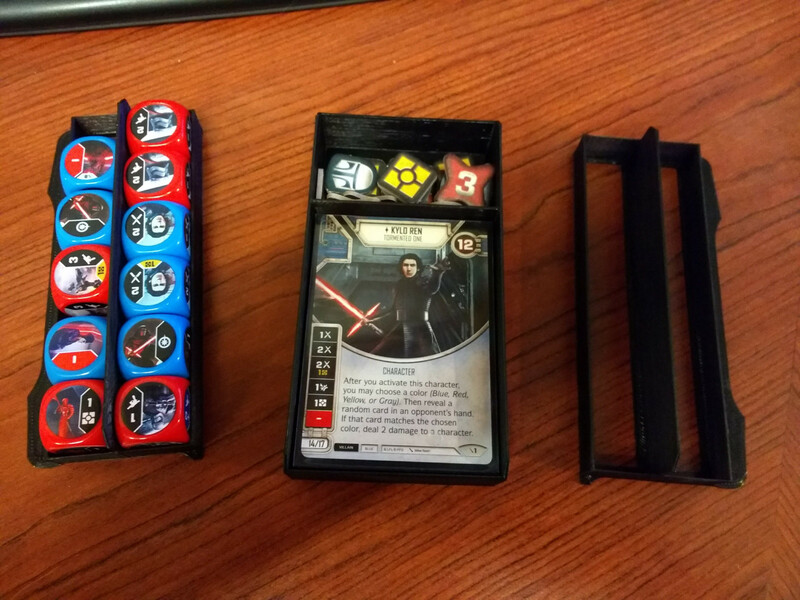 Holds a full sleeved deck, tokens and up to 24 dice. 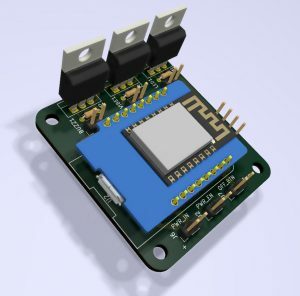 The Fusion 360 file is fully parameterized (Modify > Change Parameters) in case you need to change it.